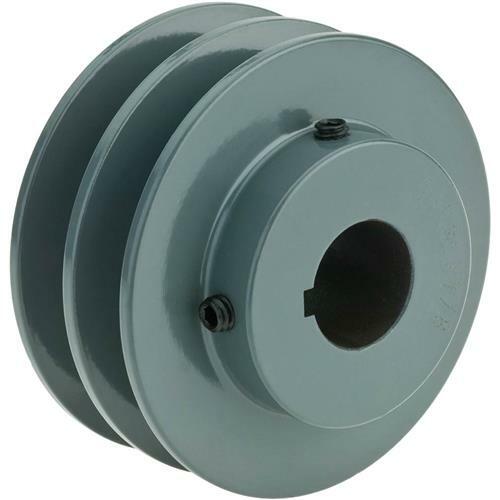 Just like our single V-groove pulleys, these solid cast iron double V-groove pulleys are machined & statically balanced to provide the smoothest power transmission possible. For use with "A" series belts.Specifications:Pitch Diameter: 3"Bore: 7/8"Standard Keyway W x D: 3/16" x 3/32"
Just order by 10:00AM PST today and choose expedited shipping during checkout. Just like our single V-groove pulleys, these solid cast iron double V-groove pulleys are machined & statically balanced to provide the smoothest power transmission possible. For use with "A" series belts. Standard Keyway W x D: 3/16" x 3/32"